The doors of GLO have always been open to receive volunteers from all around the world as they have been very helpful in different areas. At GLO, volunteers always play different roles based on their interests and levels of expertise and the impact they make have been beyond explanation. Early October this year, we received a volunteer from South Africa called Waseema who volunteered with us for a whole month. This was her second visit to GLO since she spent two weeks with us August last year. Everybody loved her and she also fell in love with GLO. I remember last year when she was bidding us farewell with a tear on her cheek, she said that she would do all she could to visit us again this year and God heard her wish. Caleb was waiting patiently for her return and gave her the biggest hug we have ever say him give anyone! 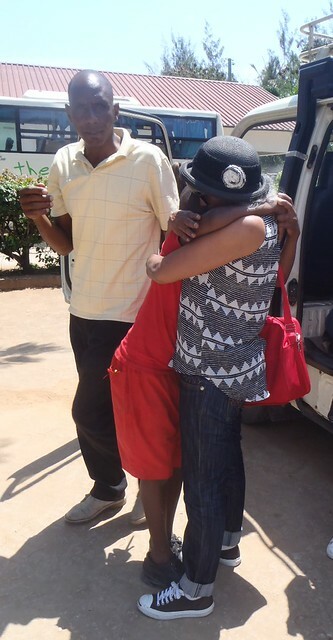 We were happy to learn that this trip to GLO was a birthday present offered to her by her lovely family. 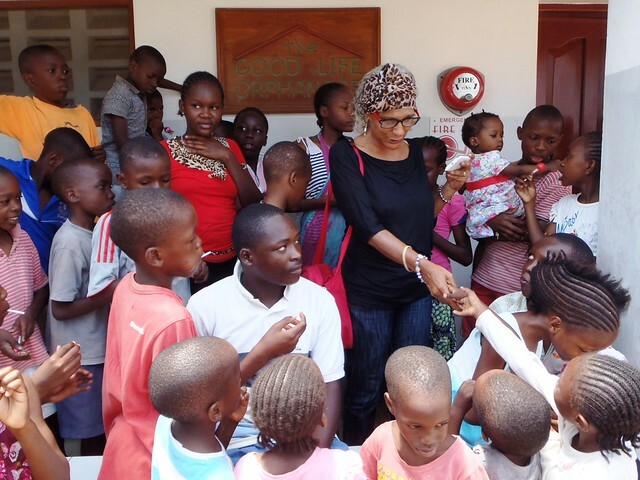 Waseema is a professional counsellor who has diverse experience working with children who have behavioural problems. She also specialised in spiritual healing and has a special gift of feeling others’ pains or energies. She is such a good friend to all the staff and children due to her humour and caring heart. Unlike last year, this time round she was too busy occupied with different tasks both at the orphanage and SBM School. 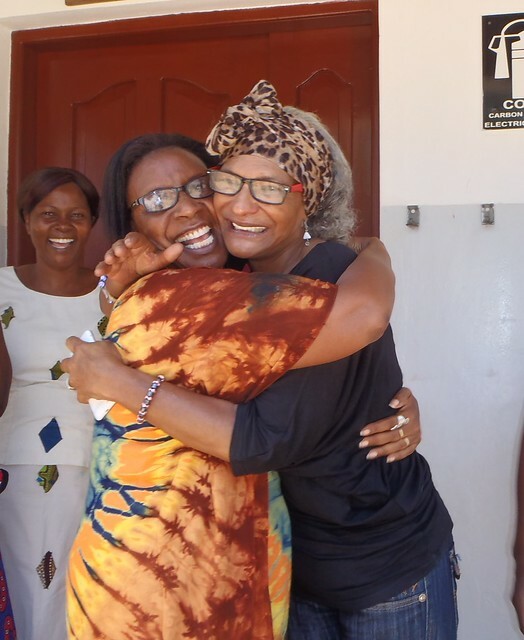 At the orphanage, she worked very closely with Lucy & myself and offered guidance, counselling, meditation and music therapy to our children especially those with behavioural issues. 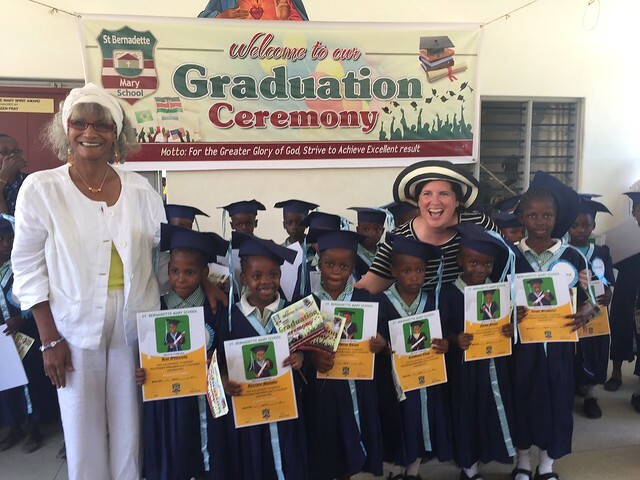 She was also involved in supervising the children during revision time and pursuit of their academic progress at school. She also taught our older girls how to knit whilst building up a great rapport with them. At SBM, Waseema was involved in invigilating and marking exams and in collaboration with the teachers held meetings with parents whose children had not been performing well. 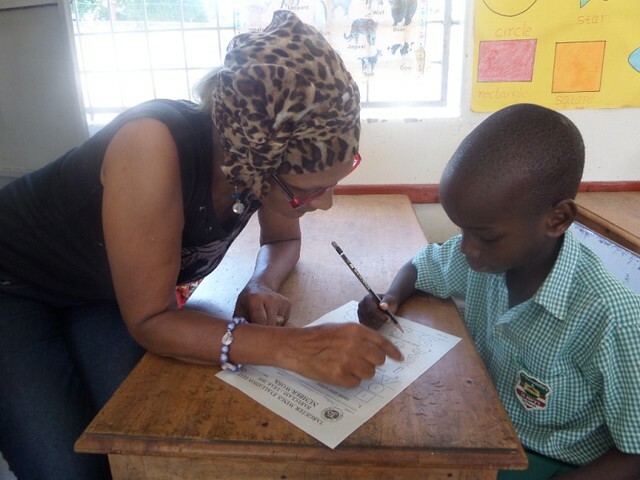 She also offered counselling to some of the pupils at school especially those in kindergarten through Art therapy. All the children who had the good fortune to spend time with Waseema seemed to gain an inner peace which spread throughout both The GLO & SBM School during her stay with us. 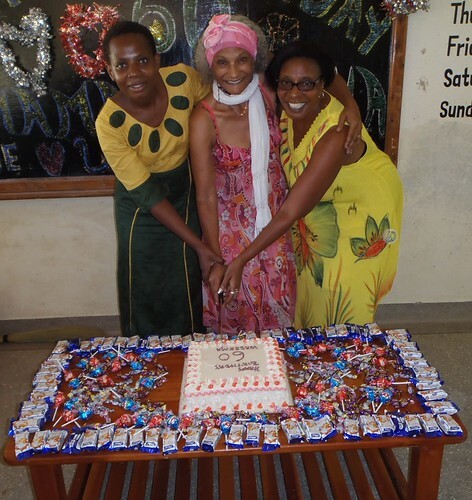 As Waseema had celebrated a milestone birthday a few weeks earlier, she decided to treat everyone at The GLO to party so we could all join in. Waseema bought a large cake along with sodas and we made a pilau. The entire GLO Family had a wonderful day and felt we are privileged to have such a compassionate lady grace our project. Waseema was such a blessing to us within the one month that she stayed here and we all say a big thank you for her time and everything she did for the GLO family and SBM school. She’s already being missed at GLO and we will always appreciate getting more good volunteers like her. We are hoping and praying that this very special lady who has such a profound effect on our children can return in 2017 again.